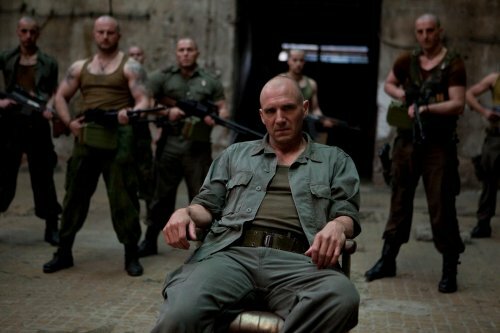 Ralph Fiennes stars and directs Coriolanus. A modern day take on the Shakespeare play. The people of Rome are hungry – they cannot afford to eat. Riots are widespread. Their vitriol turns on Caius Martius (later to be Coriolanus), Rome’s foremost general who despises the people. Simultaneously, Rome is at war with the Volsces, a neighbouring state which is lead by Caius Martius’s sworn enemy, Tullus Aufidius. When Caius’s outstanding courage secures the Volscian city of Corioles for Rome and the Volscians are defeated, Caius is newly named Coriolanus in honour of his victory. The people’s anger subsides. His mother Volumnia, who has instilled in him a strict martial code of honor, anticipates Coriolanus being elected ‘Consul’ – a ruling position in the Roman senate. In order to be voted Consul, Coriolanus must secure the people’s support. However, the great warrior is loath to engage in the necessary glad-handing and political canvassing that he sees as artificial and contradictory of his personal code. Under pressure he relents but with the minimum of civility. The Tribunes, the elected representatives of the people, persuade the masses that they should renege on their votes and refuse Coriolanus the office of Consul. Coriolanus is enraged and his vocal aggression leads to a major riot after which he is banished from Rome.